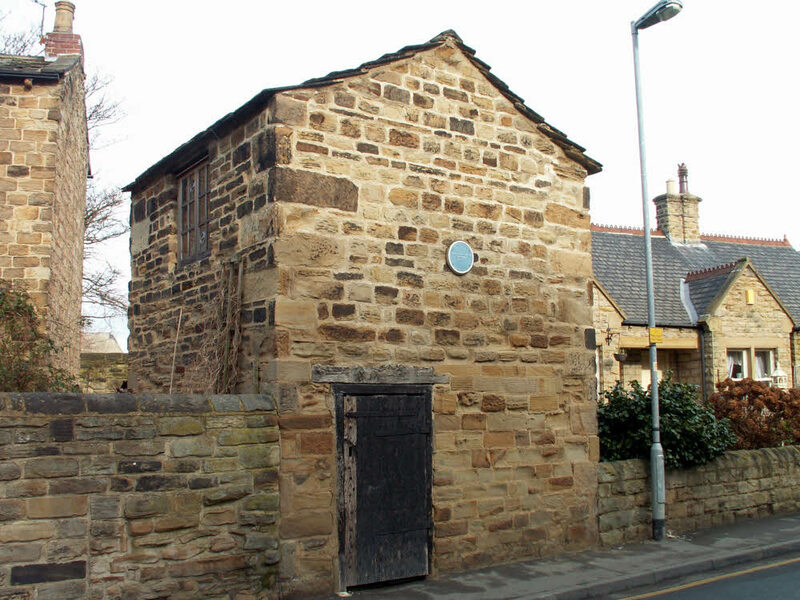 Tithe Barn Street in Horbury was so named after the old tithe barn, which was used to store produce of the tithe. 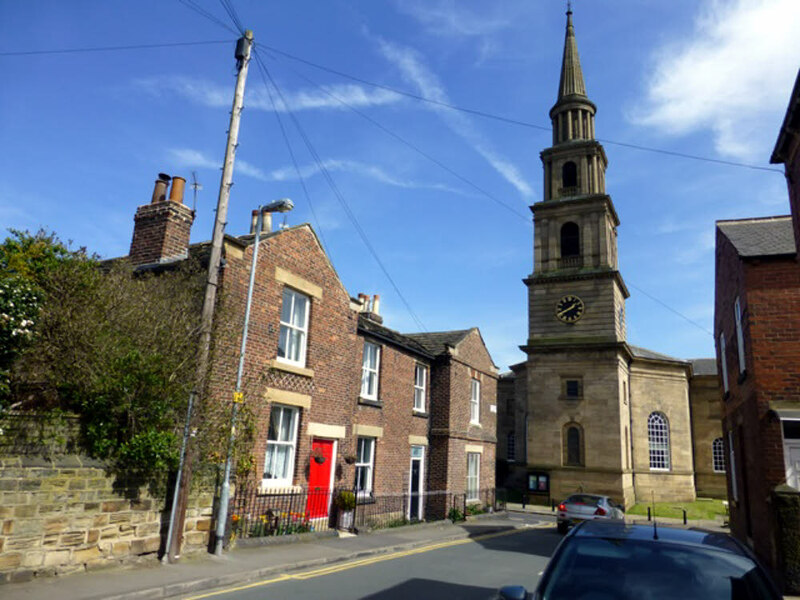 A tithe means a tenth and one tenth of every Horbury parishioner's income from produce of the land had to be donated to the church. The right to receive tithes was granted to the English churches by King Ethelwulf in 855. These tithes were taxes, which each inhabitant was compelled to pay. Horbury was a Chapel of Ease to Wakefield Parish Church, and the Vicar of Horbury was a Curate in Charge. The tithes which were collected from Horbury residents belonged to the Vicar of Wakefield and not to the Vicar of St. Peter's, Horbury. Above: The top of Tithe Barn Street where it meets Church Street showing St. Peter and St. Leonard's Church. Picture by Helen Bickerdike in 2016. These were further divided into Greater Tithes, which included payments in crops like oats, barley, wheat and also wool, then “Lesser or Smaller Tithes” that included every other category of payment. In Horbury, the Greater Tithes were payable to the Rector and the Lesser Tithes to the Vicar of Wakefield. Originally, tithe payments took the form of things like the tenth sheaf of wheat or barley, the tenth lamb or piglet, a tenth of hay or straw produced, etc. Thus the Tithe Barn was needed for storage. The tithe was a very unpopular tax and the system gradually ended with the introduction of the Tithe Commutation Act 1836, so that the tithe could be paid as a rent charge. Tithes were abolished altogether with the introduction of the Tithe Acts of 1936 and 1951 in the British Parliament. The 1848 Tithe Records for Horbury1 show that John Francis Carr of Carr Lodge House, Horbury was a major land and property owner in the town. For example, James Moulden rented from Carr a house, garden, warehouse, croft, stable, cow house, pig sty, yard and out kitchen amongst other property. Abraham Roberts rented four cottages and a shop from Carr. The Horbury tithe barn was a large four bayed, timber framed structure constructed most probably in the 15th century. The tithe barn remained in church ownership until 1850 when it was purchased by William Stringer of Horbury from Canon Sharp. Stringer had the eastern half of the barn (Bay 1 and 2) converted into two cottages and the other two remaining bays were used for a variety of purposes over the years, including use as a weaving shed, rag warehouse, stable and even at one time, as a greengrocer's shop. In 1904, the two western most bays were destroyed by a fire. This was the part still being used as a barn. The two badly damaged bays had to be destroyed.2 Remnants of the old tithe barn can be seen from the car park on Tithe Barn Street, which at one time used to be a graveyard. The remaining two bays of the tithe barn are now numbers 14 and 16 Tithe Barn Street. 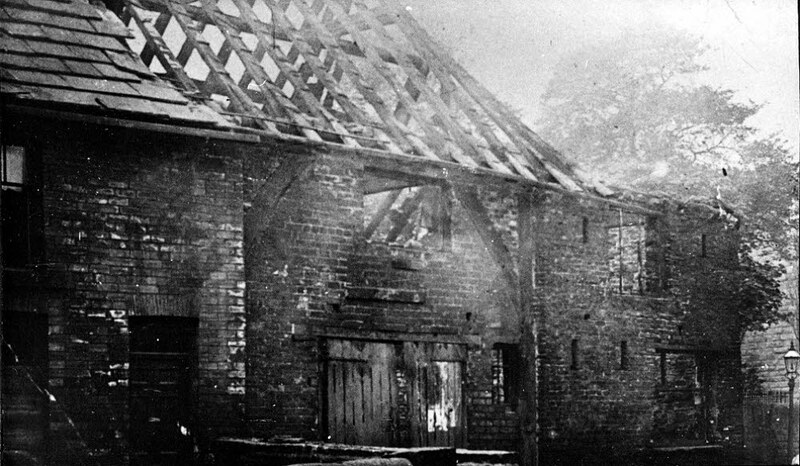 Above: The Horbury tithe barn immediately after the disastrous fire in 1904. Above: 14 and 16 Tithe Barn Street, the cottages made from the burned out tithe barn after the 1904 fire. Number 14 has been extended with an extension where the old burned out bays of the tithe barn were once located. 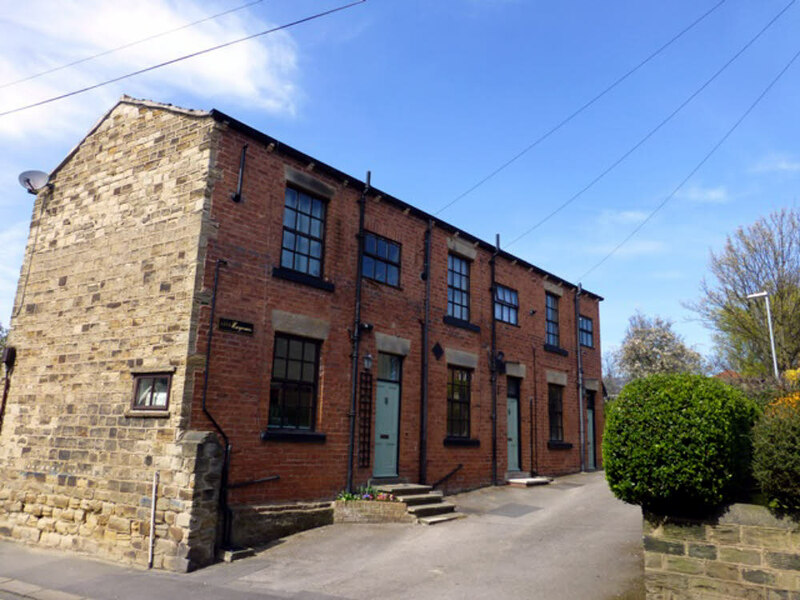 The first school to be founded in Horbury was the Town School on Tithe Barn Street, which dates back to 1708 on land acquired by old the Horbury Common Lands Trust for £4. A report dated 1827 shows "10 poor children" being taught and that the master’s salary was 15 guineas per year with a school house and garden plus the master's use of a further acre of land. An extension to the school and the schoolmaster's house was added in 1832. By 1870 there were 54 boys and 59 girls on school roll between the ages of 4 and 11 years, each paying between threepence and sixpence per week for their education (sixpence is the equivalent to £1.57 in today's currency). The school was eventually condemned by the Education Department and closed as a day school in 1886. The building continued to be used by the Sunday School, which was founded in 1786. Above: The buildings used for the Old Town School and Sunday School, Tithe Barn Street, Horbury. The dual use of the Town School buildings led to them being enlarged in 1789. One of the rules of the Sunday school was "The Sunday scholars shall alternatively attend Divine Service once in the church and once in the Meeting House of Methodists in this town every Sunday." The organisation was first known as "The Charitable Society of Sunday Masters within the Township of Horbury". The Scholars shall have their hands and faces clean, washed and hair combed. They shall diligently attend to reading, writing or spelling, as their masters shall think most useful for their learning or employment. No scholar on any pretence whatsoever shall despise another on account of dress or infirmities or refuse to walk with the partner of his or her lot by size but shall behave in a respective and loving manner. Above: The original 1789 plaque, that was removed in 1954 because of loose masonry and therefore concerns about the safety of passers-by. It was eventually reinstated in 1999 after restoration work with the help of a grant from the Common Land Trustees. The school building was condemned for use as a school in 1886 and was finally closed on the 6th June 1891. The nature of education had changed by then and religious teaching was being done by churches or chapels and the 3Rs were being taught by newly established day schools. Children's education had been compulsory since 1876. 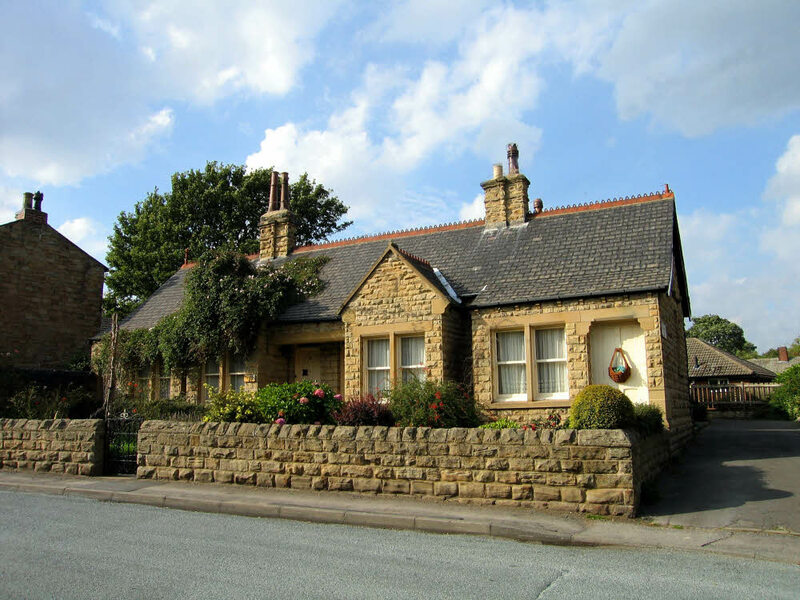 The old school building was then put to use as Horbury's Parish Hall and then later rented out to local businesses. Local printing company Chappells first leased the building and then bought it outright running their printing business from there. Above: Hargreaves Yard on Tithe Barn Street. Picture courtesy of Helen Bickerdike in 2016. Along Tithe Barn Street the buildings named St. Leonard's Hospital are not the first to occupy the site. They were built by Canon John Sharp in 1888 to replace the original almshouse building, which was demolished circa 1887. In 1731, the original building on the site was left to the curate of the church and his successors by Richard Wormald, a yeoman of Horbury. 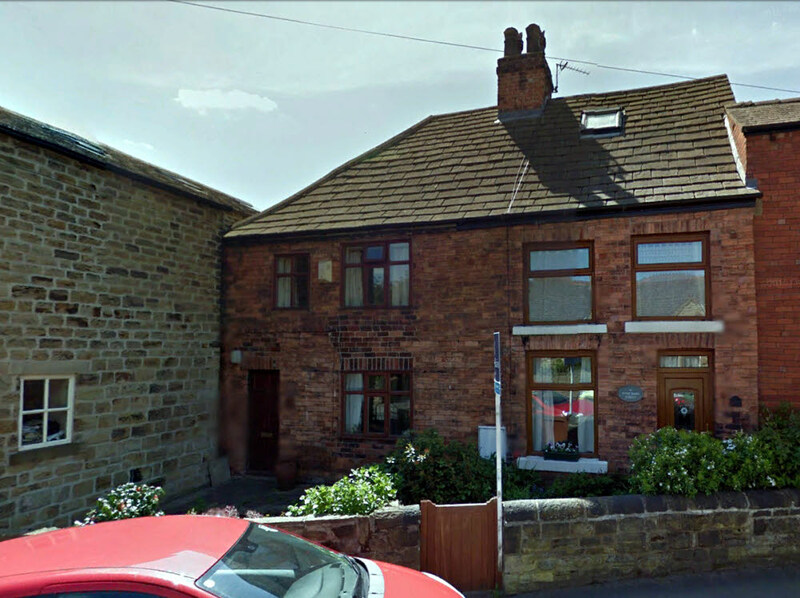 The house was to be divided into tenements for the use of needy persons in Horbury. 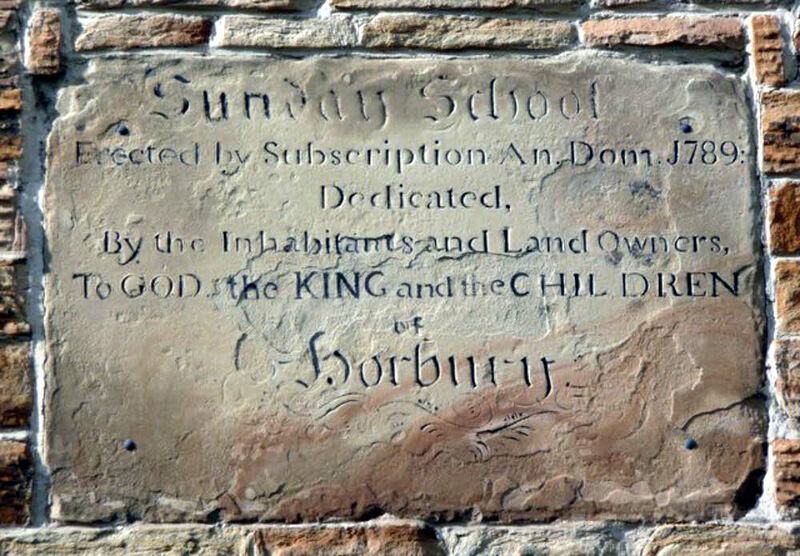 Wormald also left other property, the rent of which was to provide £1 for the preaching of an annual sermon; £2 to be paid to the school-master of the newly erected school, and £2 to be distributed among the poor of Horbury. In 1745, an agreement was reached by the Rev. John Scott, the curate, that he be allowed to pull down the garrets, which were no longer used, and construct a granary with the building material. The inhabitants of Horbury agreed to rebuild the low rooms. 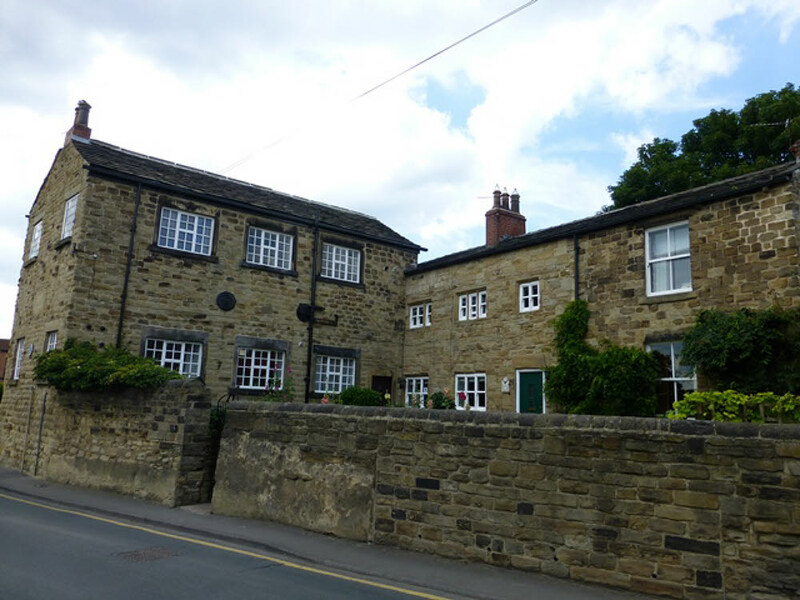 In a report by the Charity Commissioners for 1827, the building was reported to consist of four rooms: two on the ground floor and two upper rooms, which were occupied by four poor Horbury widows. The building became to be known locally as "Bedlam", a derogatory name often given to almshouses at that time. By 1887, only one old person was still living in one of the rooms of the almhouse because the rest of the building had fallen into decay and was uninhabitable. Canon John Sharp, the Vicar of Horbury raised money locally in memory of Queen Victoria's Jubilee in 1888 to demolish the old building and instead built four one-bedroom houses, with another dwelling behind for the Parish Nurse, who it was intended could look after the old folk and probably help cook their food. For some reason, the nurse was never appointed, but the building was used as a cooking centre for the girls of St. Peter's School. The Wakefield School of Cookery provided a teacher one day a week when 24 girls attended in the morning and 24 in the afternoon. Unfortunately, the scheme didn't last long and the house was eventually let to a private tenant. "We have had some difficulty in deciding what should be the name of our new almshouses - everyone seems to agree that the name of 'Bedlam' should be abolished. At first I suggested 'The House of Charity', but some people thought a confusion might arise between 'House of Charity' and 'House of Mercy'. After much discussion it has been decided to call them St. Leonard's Hospital, for in times past such buildings were commonly called hospitals, and in so much as the old Norman Church of Horbury, which stood upon the site of the present more recent one, was dedicated to St. Leonard." "This hospital has been created to the glory of God for the relief of the poor of Horbury and in the memory of the Jubilee of our gracious Queen Victoria and was dedicated by William Walshaw, the first Bishop of Wakefield. October 6th 1888." The area immediately behind the almshouses was a yard of terraced houses called "Ranter's Fold", so named because the early non-conformists from the Primitive Methodists who met there to worship were reckoned to enthusiastically "rant" loudly during religious services.4 Ranters Fold has now been replaced with modern bungalows. 2. "Bartlett's Wakefield and Horbury - The collected local histories of Kenneth Smith Bartlett", CD published by Museum Digitisation Service, edited by Phil Judkins, MA, MSc, FCIPD, FRSA. 3. Picture courtesy of Joan Smith and her Horbury and Ossett Family History web page. 4. "Proud Village - A History of Horbury in the County of Yorkshire", published 2003 by Horbury Historical Society from an original text by R.L. Arundale, the former Headmaster of Horbury Secondary School between 1944 and 1964.